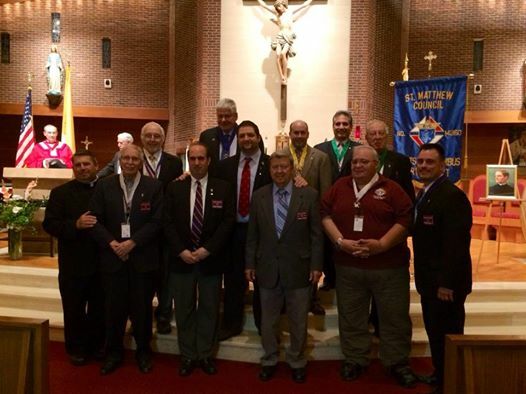 In a special ceremony held at St. Matthew Church in Norwalk on October 8, 2014, Knights of Columbus Council 14360 formally installed its officers for the 2014-2015 fraternal year. The installation was performed by K of C District Deputy Jim Wardwell and District Wardens Frank Verdone and Bill Berger. A special blessing was performed by Council Chaplain Msgr. Walter Orlowski.